The 2GIG Personal Safety Pendant will send out a distress signal when activated to let the security system know that the user is experiencing a medical emergency, crisis or fall. The device includes automatic fall detection as an added precaution. 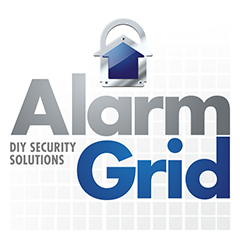 Buy the 2GIG F1-345 Pendant from Alarm Grid. The 2GIG F1-345 is a Personal Safety Pendant that includes integrated fall detection. It is designed to alert the alarm system when the user experiences a medical emergency or personal crisis. This will offer the user increased independence and provide peace of mind for their loved ones. If the user needs assistance, they can press and hold the pendant's help button for at least two seconds. The system should emit an audible auxiliary alarm to let the user know that the distress signal has been sent out successfully. The user can then expect help to be sent out in a timely manner. Additionally, the sensor's built-in fall sensor will alert the system if aggressive and abrupt movement is detected. For that reason, the pendant should not be worn while exercising, running or jumping. It is recommended that the user puts special notes with the central monitoring station so that they know what to do when the device is activated. The 2GIG F1-345 has a signal range of about 300 to 500 feet in open air. It sends out signals at 345 MHz, making it compatible with 2GIG Alarm Systems and the Honeywell Lyric Controller. An LED light shows the current status, with green being normal and red indicating low battery. The device comes with a lanyard so that it can be conveniently worn at all times. The lanyard can be adjusted to suit the needs of the user. The personal pendant can even be brought in the shower and light rain, as it it is water resistant with an IPx7 rating. The device's internal battery cannot be swapped out, and the device will need to be replaced when the battery is low. The pendant measures 1.18"W x 2.0"H x 0.5"D. The sensor should not be dismantled or physically modified in any way.